Mexico is an extremely popular tourist destination, and it’s easy to see why. Brilliant weather, amazing food, white beaches, pristine oceans, endless jungles and a rich cultural history form a perfect recipe for a relaxing holiday. It would be very easy to show you all of these selling points in a series of dreamy pictures. But the most important part of Mexico’s attraction often gets left out: its warm, welcoming people. 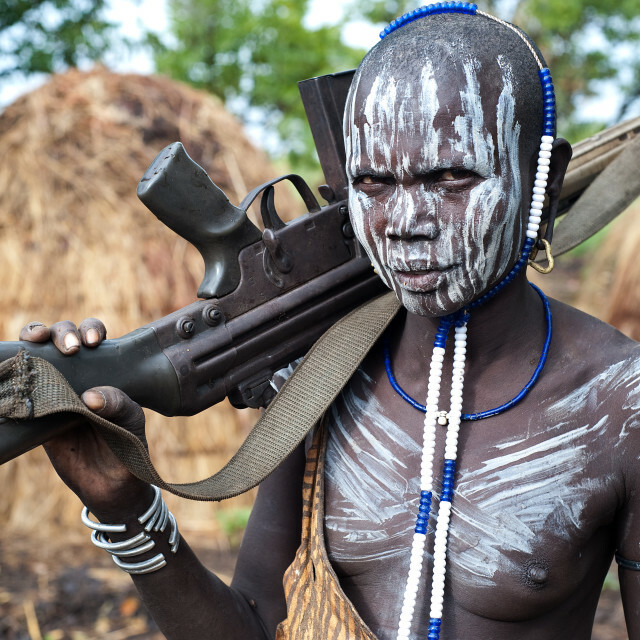 Luckily, British photographer Gareth Davies can tell us all about them. 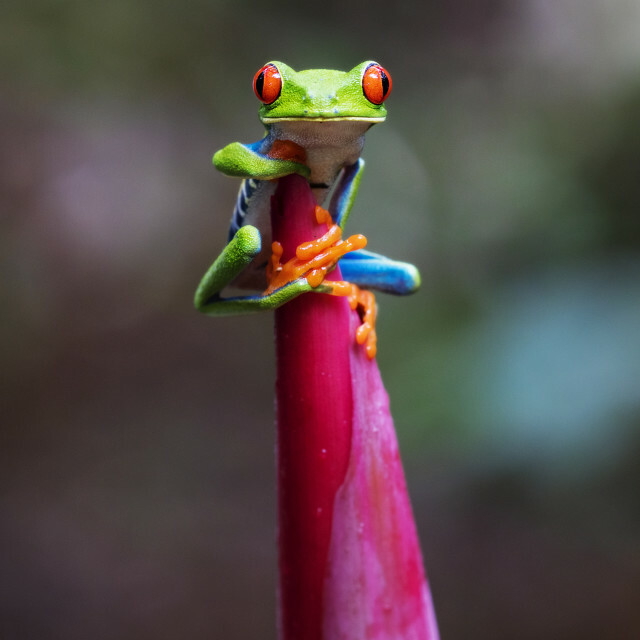 His extensive travels led him to Mexico, where he now resides. His exploration of his new home has led to a series of portraits of Mexico’s diverse and colourful population. 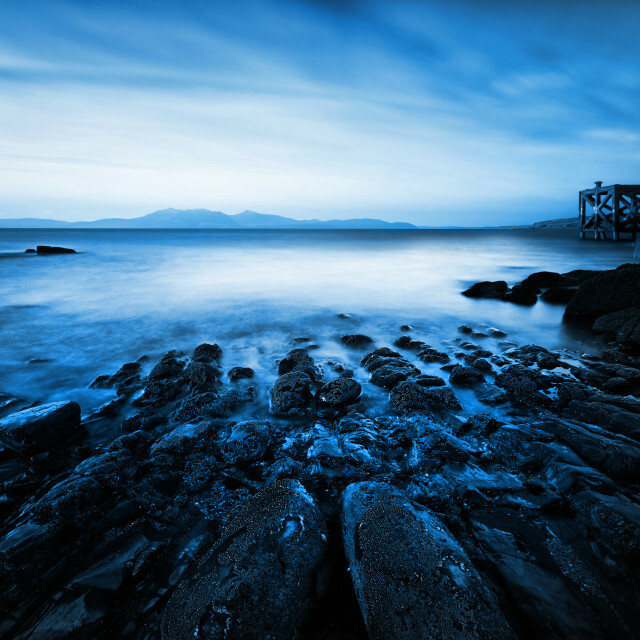 We hope you enjoy this intimate look at a different side of the country. 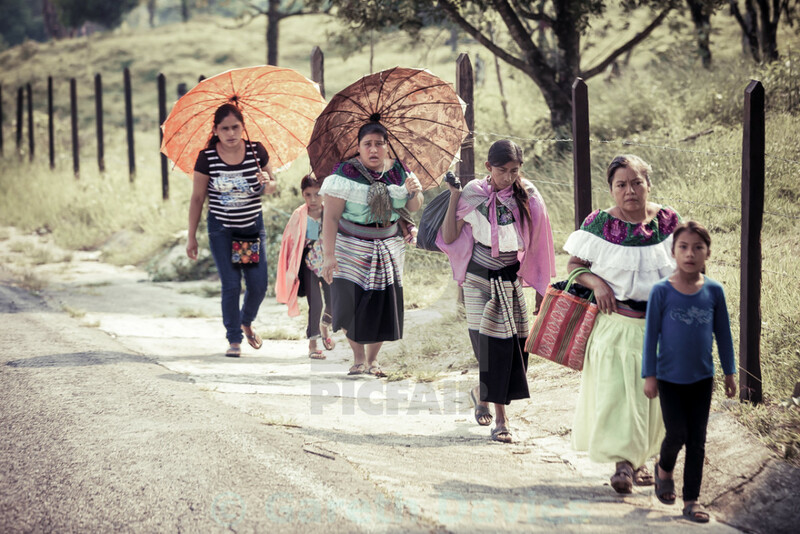 Indigenous women and children brave the heat in an interesting mixture of traditional and modern clothing. 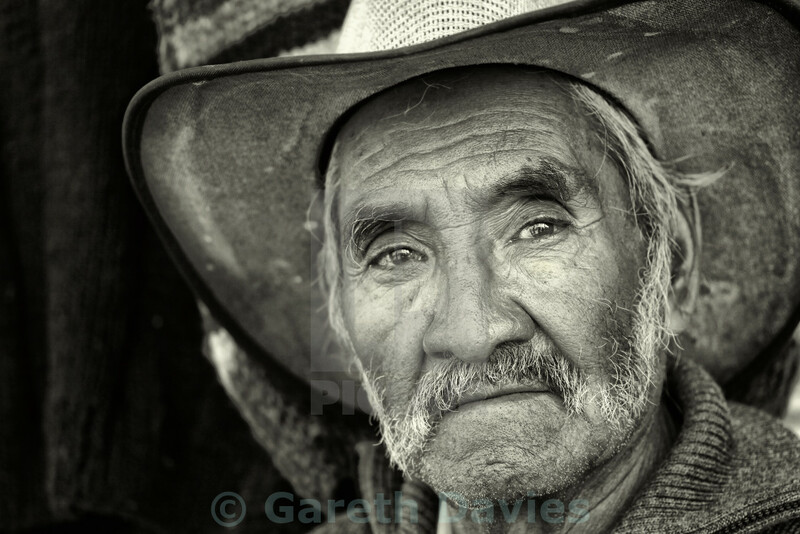 An elderly man in a cowboy hat looks wistfully into the lens in Mexico City. 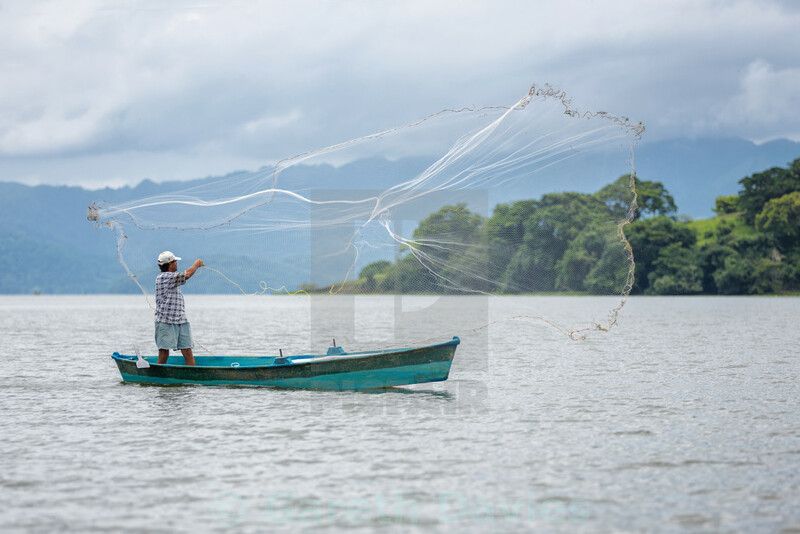 A fisherman casts out his net on lake Catemaco in Veracruz. 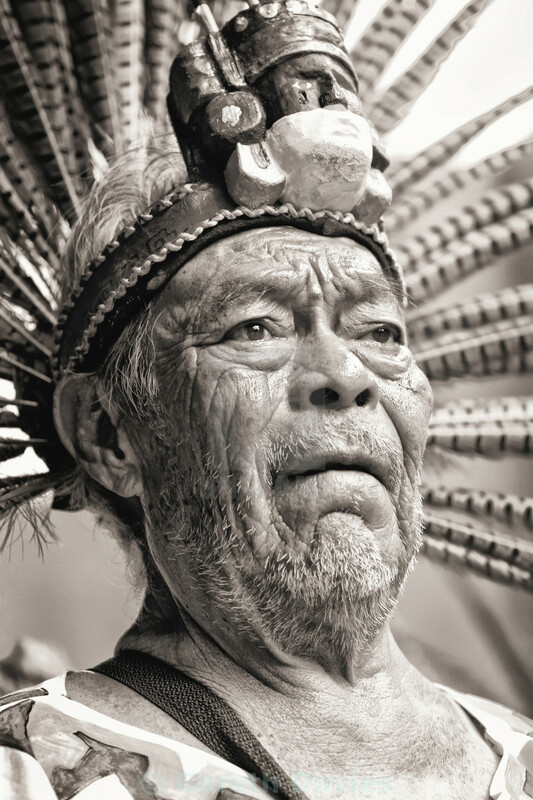 An elderly man sports a traditional feathered headdress during a cultural ceremony. 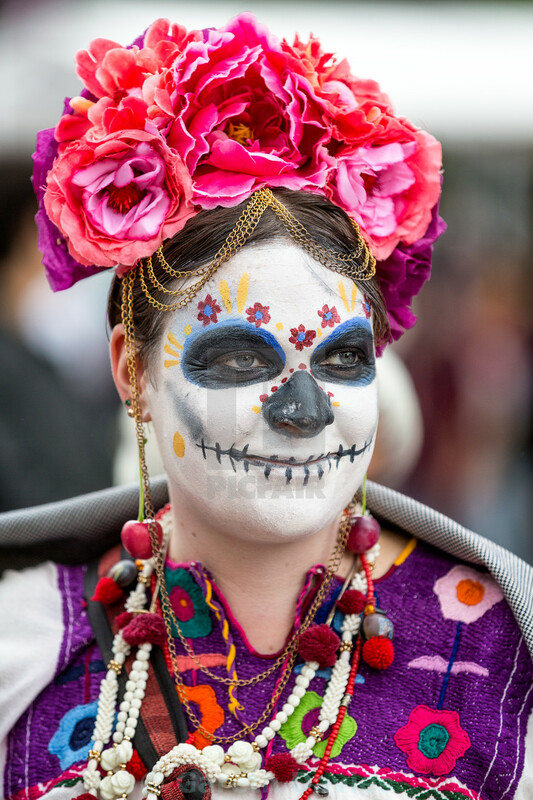 A woman with traditional Catalina face paint and colourful flowers celebrates Day of the Dead. 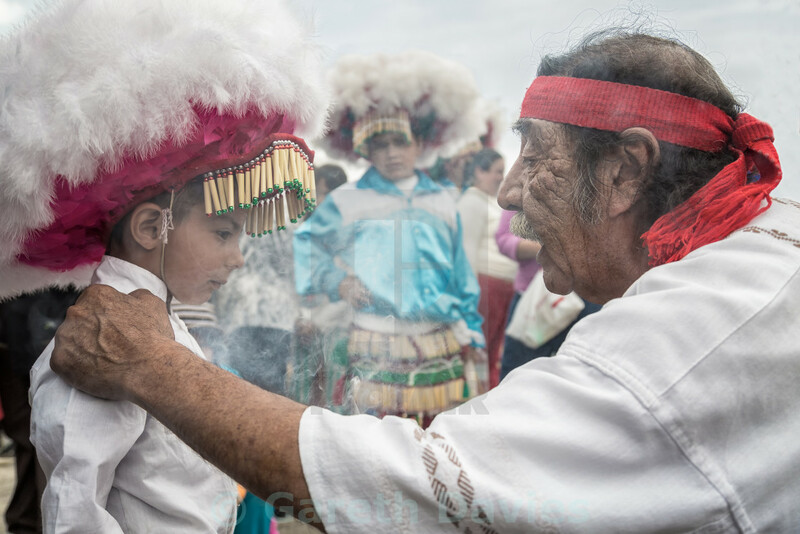 A young boy gets in line for a spiritual cleaning practice that is traditional after a pilgrimage to the Basilica de Guadalupe in Mexico City. 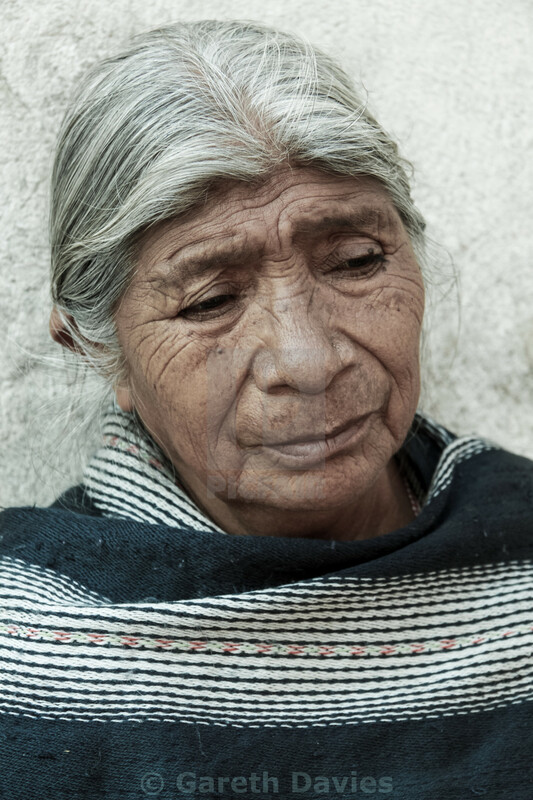 An elderly lady wrapped in a traditional shawl leans against a building. 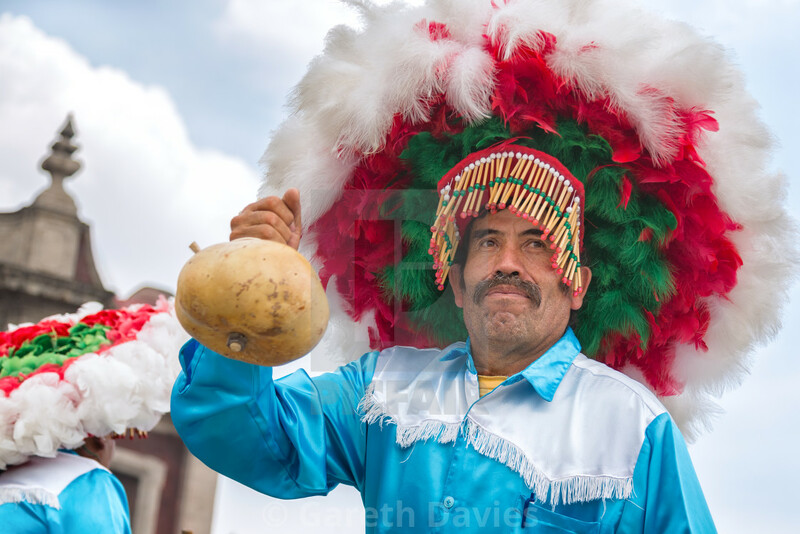 The dances after the pilgrimage to Basilica de Guadalupe involves impressive headdresses. 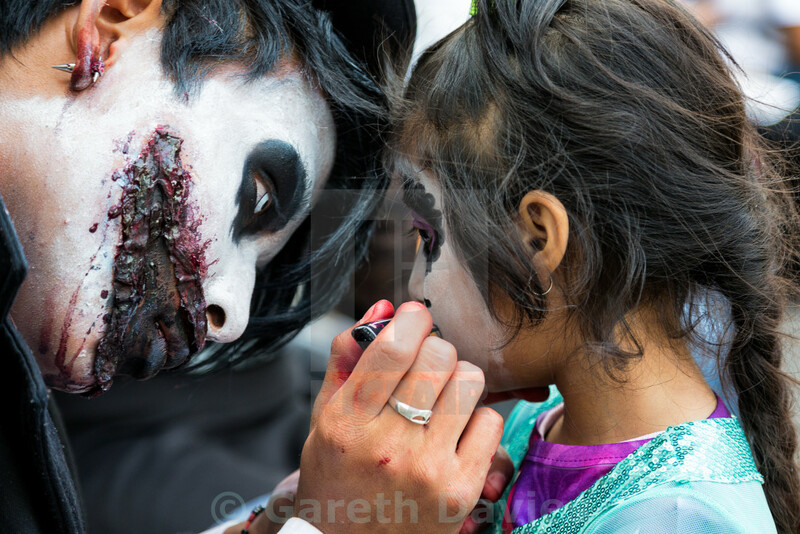 A man in more modern Halloween make-up paints his daughter’s face in the traditional Catalina style. 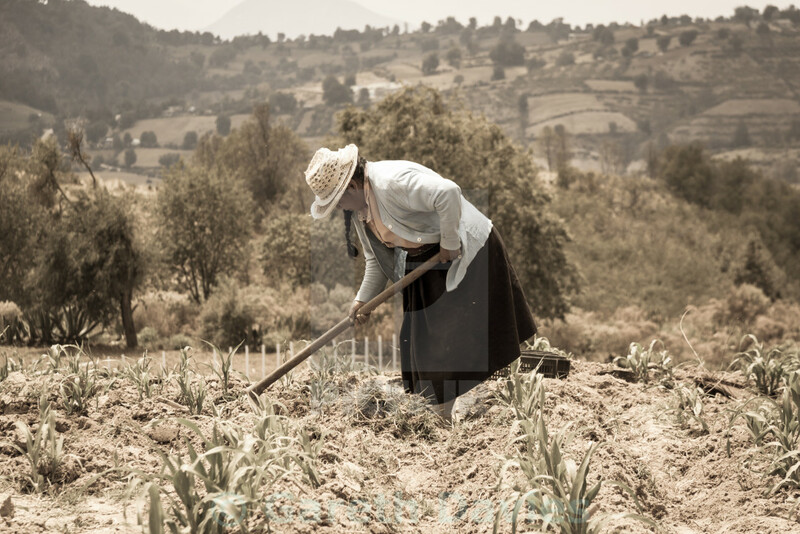 A farmer works the field in the scorching sun. She is well protected from the heat thanks to a woven hat, a long skirt and a long-sleeved cardigan. 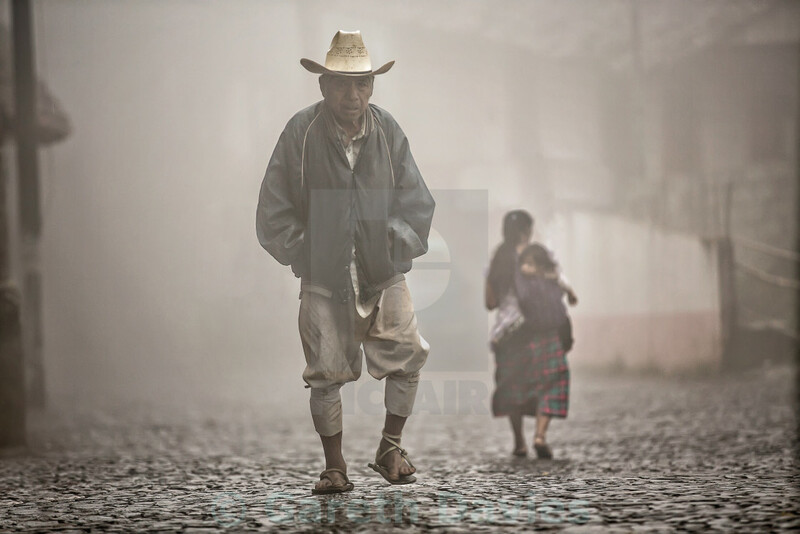 An old man walks the cobbled streets of the small town of Xochitlan de Vicente Suarez on a misty morning. 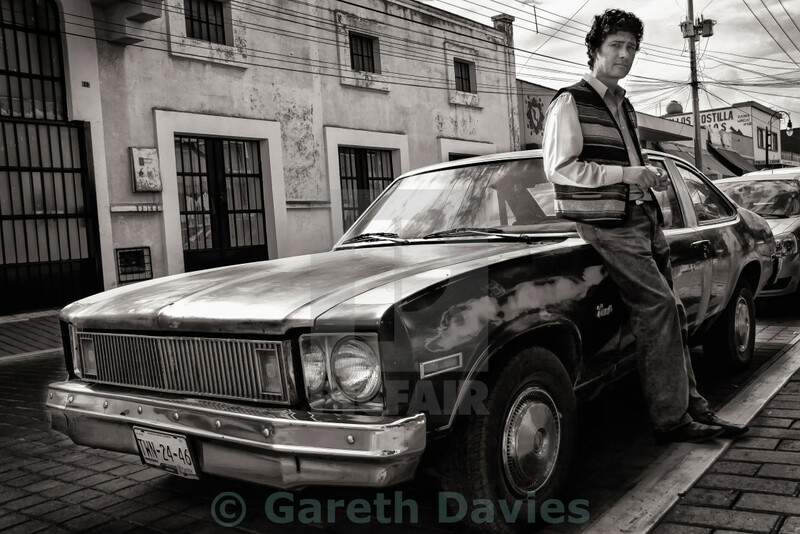 A young man leans against a vintage car on the streets of Puebla. 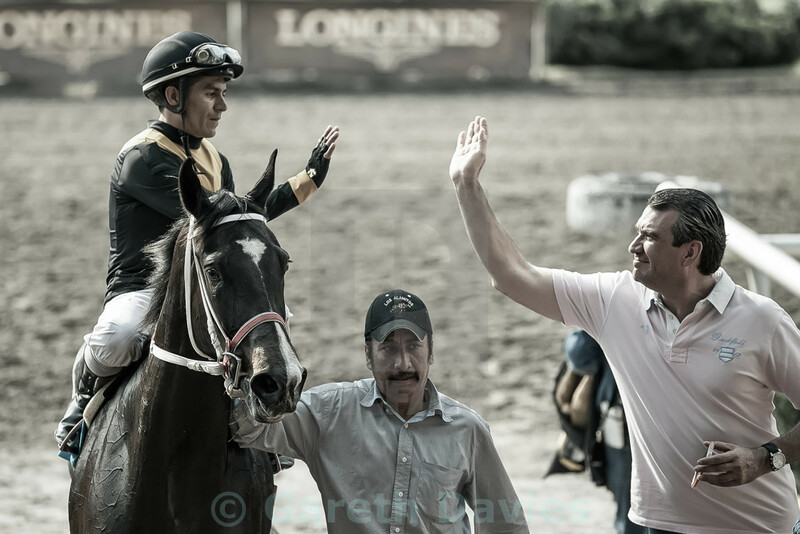 A jockey and horse owner share a high-five as the horse gets lead off the track after a race. 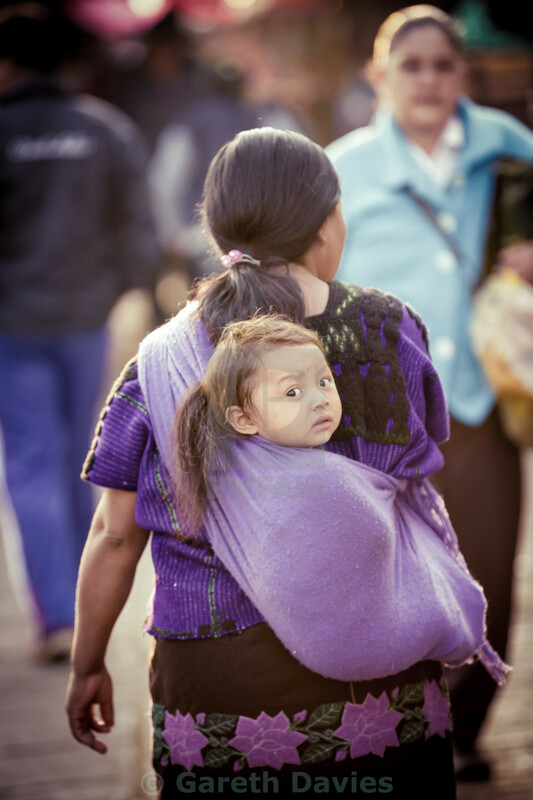 A little girl stares curiously at the photographer from her vantage point in a carrier sling on the back of her mother. A couple in typical Day of the Dead face paint and outfit share a merry moment. 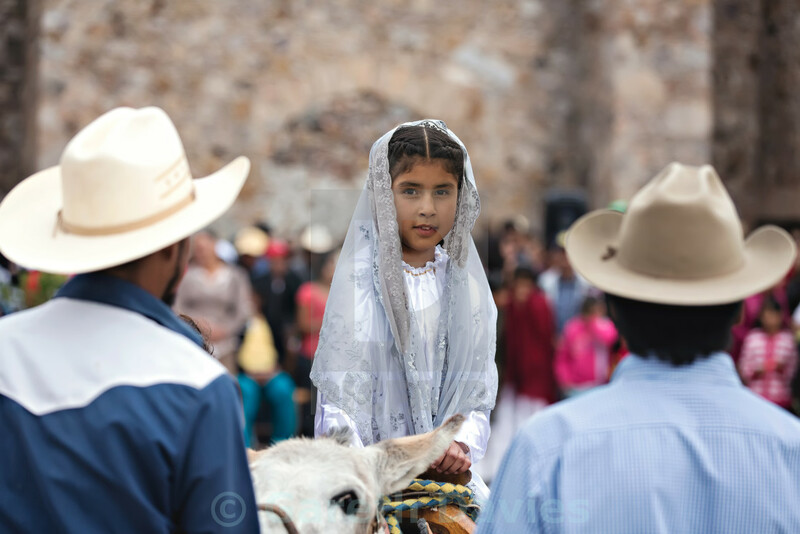 A young girl in a white veil rides a donkey during a Christmas celebration parade. 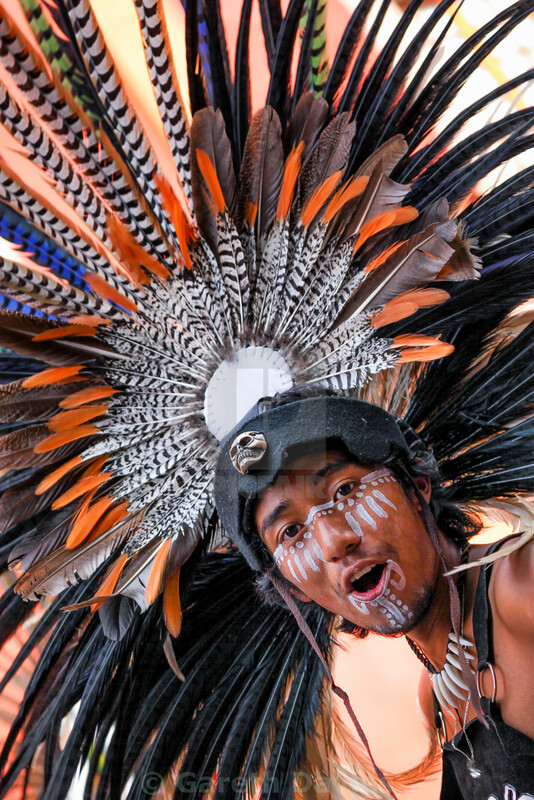 A young man in impressive feathered headdress and traditional face paint dances during a ceremony in Queretaro. 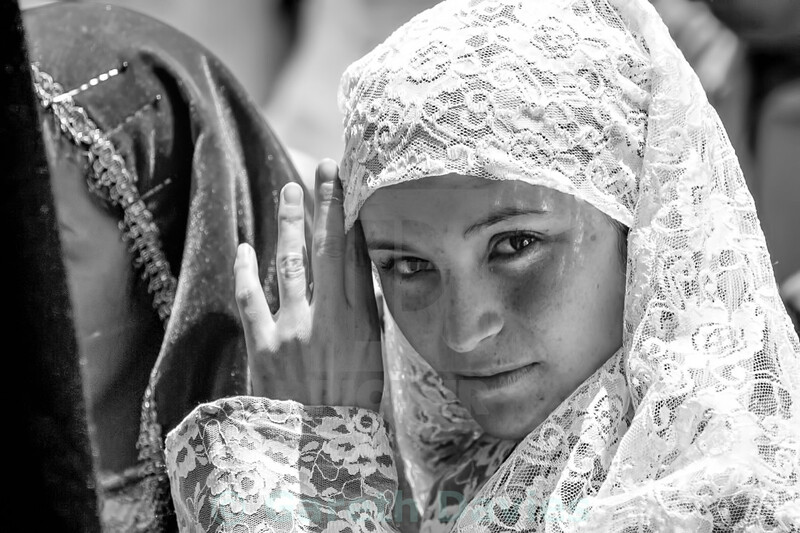 A young woman in a traditional lace headdress looks shyly into the camera. 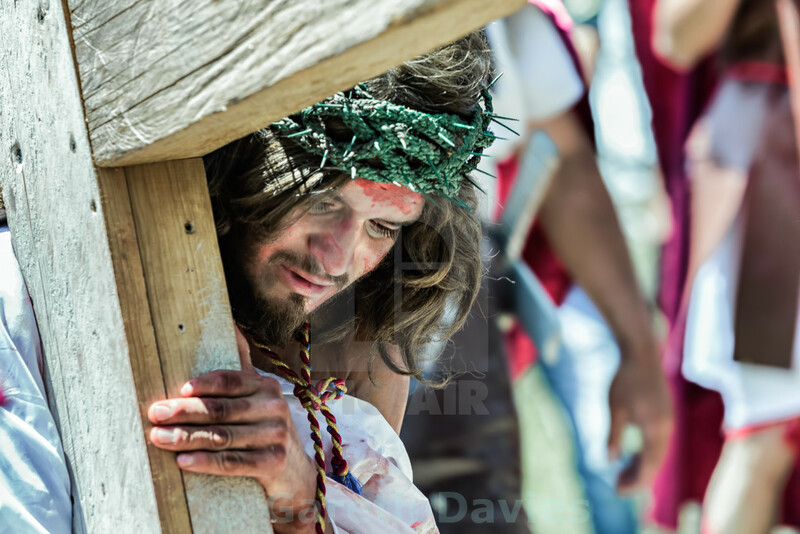 This man has the honour of portraying Jesus and carrying the cross at a parade during Semana Santa, the holy week before Easter. 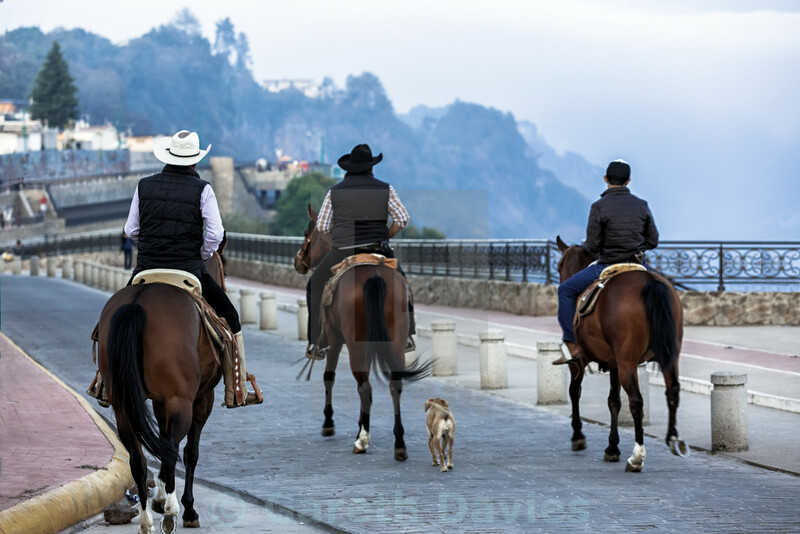 Three men on horseback, two in traditional cowboy hats and one in a modern cap, look out over the impressive landscape below.